One of the first purchases we made, after moving into our house, was a nest box for the back yard. Much to my disappointment, summer after summer passed with no nests. Then I ran across an article (I can’t remember where) that said birds prefer nest boxes positioned so the entrance faces north. With nothing to lose, we moved our unused nest box. Immediate success. 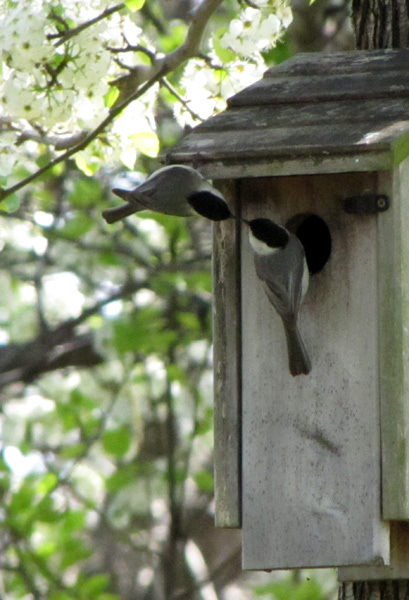 I spent many happy hours watching them stuff the nest box with pear petals and moss. But something went wrong and the nest failed. Later, when we cleaned the box, two tiny unhatched eggs made me want to cry. In subsequent springs, we’ve watched more chickadees build more nests in the box, and all have failed. Only once did we know why. 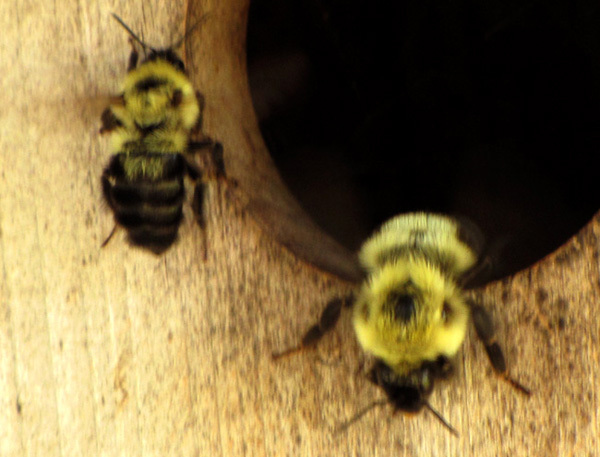 Bumblebees. 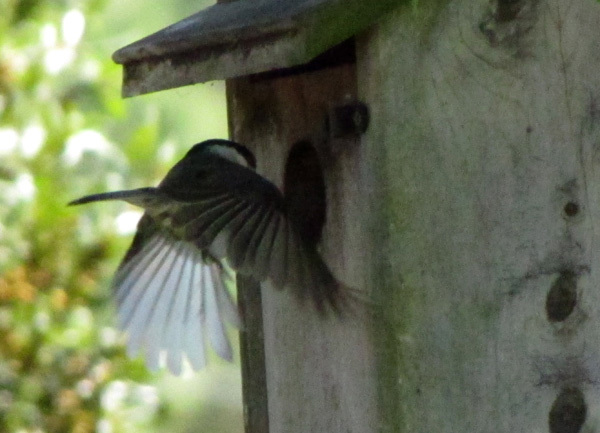 Hope you have some babies in that nest box very soon…and then some flying lessons. We had these little birds that built their nest in a cactus. I guess that’s one way to keep predators out. You enjoy your day. LOVE this, Rae! 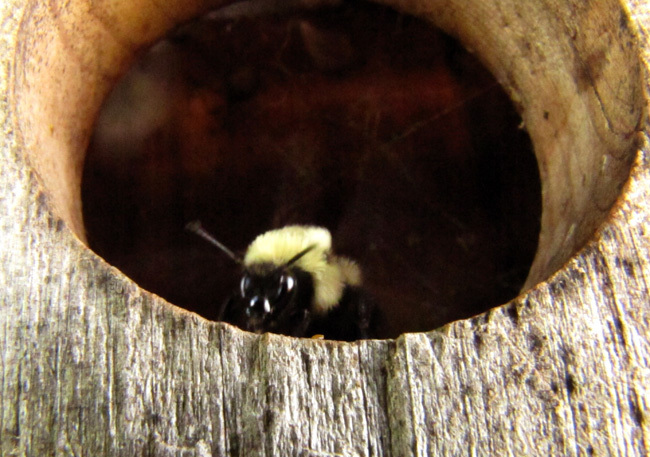 We spend hours in our backyard observing all the life there and birds and bees are among the favorites. Our nest box was not successful either, so perhaps its time to have another go in a different direction. Your photos are exquisite and make me long for spring, which here on the west coast is already on the move. Thank you! Our forecast says we may get some snow tomorrow, but I don’t think it will prove a major setback as far as spring is concerned. And I have to admit that we were skeptical about the “facing north” suggestion, though it seems the advice was sound. At least, something about the move appealed to our chickadees. This year I’m hoping for true success!